With promises to thrill, Wheels of Speed, stunt bikers and the eccentric teenage driving sensation, Nicholas Barnes, will be on show as the inaugural Team Tazz ‘Speed Invade Lucea’ event takes over the normally quiet parish this Sunday. With young Barnes at the helm of production and organization, the much-anticipated event, the first of its kind to be staged in Lucea, is down to run from 11 a.m. to 11 p.m. at Grant’s Plaza. 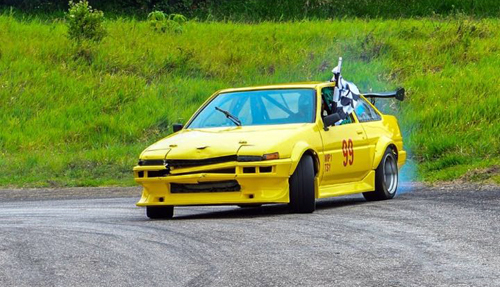 The drifting showpiece will put on display top class drifting drivers, some from as far as Mandeville. 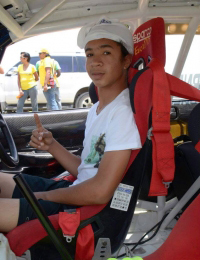 Barnes, the youngest Dover Champion, will be the main attraction and leads the MoBay drivers. With Speed to kill, some of the country’s most recognized drivers have been penciled for the show. The likes of Ian Wright, Steven Singh and Owen Wong-Ken are down to take to the track, while the Rush Riders from MoBay, with Buju, Bling and the crew, will also take centre stage. The RC Cars will also be performing with DJ Kentucky spinning the music by Big and Black Mobile. Admission is $500, children under-12, $300. The expected exciting event is sponsored by Bay Waata, Popsicle, Tyre Warehouse, Steven’s Pharmacy, Delta 16 Security Force, Xclusive Auto, Gold Linauto, Endless Lightings, Fraser Rubis service Station Lucea and L and E enterprise Lucea.